Pan Pacific’s Edge Sunday Champagne Brunch has been given a revamp and now boasts two activity sessions – a cooking demo and a cocktail making demo. So instead of just stuffing your face for those few hours, you now get to take a break and learn a thing or two from the experts. From 1pm-1.30pm, the inhouse mixologist will impart the techniques required to make your own cocktails at home. From 2pm-2.30pm, learn how to cook highlight dishes from the buffet spread, such as Coriander Crab Cake with Curry Mayo, or Sticky Date Pudding. Are you a lover of chocolate? Or desserts? 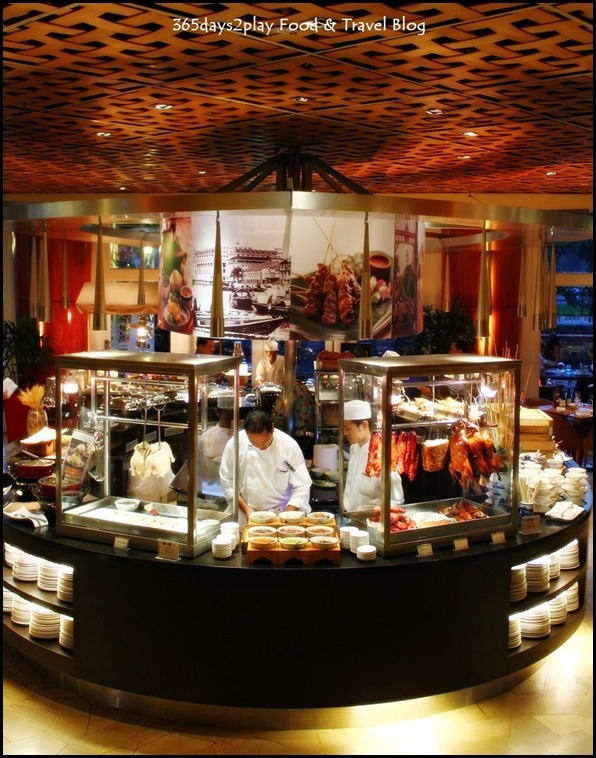 If you are, you will want to check out The Courtyard’s new and improved Chocolate Buffet. It’s not just any o spread of chocolate desserts, new elements have been added to up the excitement factor. 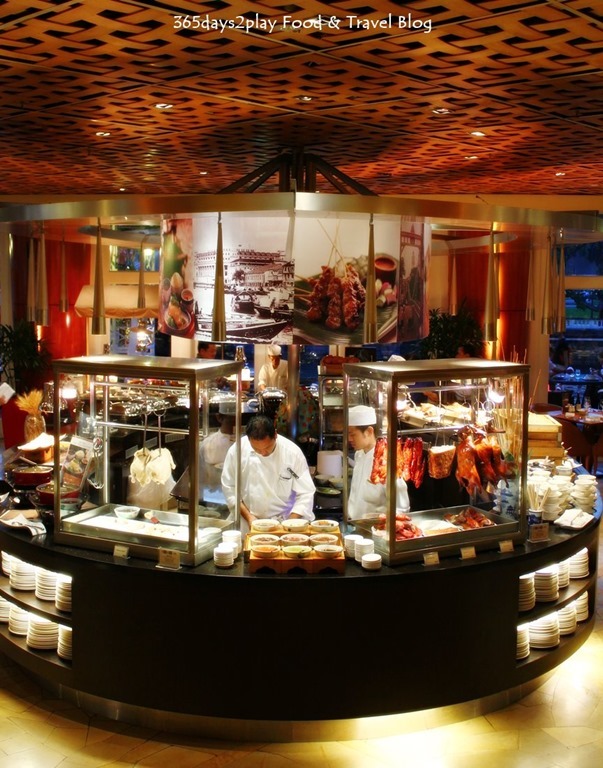 First up, the Chocolate Buffet now offers a small selection of savoury food. Hands up those of you who feel intimidated over the idea of having to plough through a ton of decadent chocolate? We all love chocolate of course, but as adults we also know there is a limit to how much of the same thing we can consume before we reach the dreaded “palate fatigue”. Now, you can take a break from the decadent chocolate items with savouries like Cocoa and Spice-rubbed Baby Pork Ribs or Salmon Mini Quiches. You could also treat it like a light dinner too, if you don’t want the inconvenience of having to separately eat dinner prior to the Chocolate Buffet. For the serious chocolate lover, you won’t want to miss the Valrhona Tasting Table, where 12 varieties of chocolate in bite-sized coins of varying cocoa percentages are available so that you can savour the chocolate unadulterated. There is even a made to order plated chocolate dessert at the Live Nitro Station. Here, liquid nitrogen is used to freeze the ingredients such as chocolate sponge, crumble, espuma and meringue, which will be hidden under a chocolate sphere for you to dramatically break open. Oh, do not miss out on the Hot Chocolate Trolley because that’s what happened to me as it was hidden behind the Live Nitro Station! This is where you can create your own hot chocolate from 6 types of Valrhona chocolate and spices such as cardamom, chilli and anise. 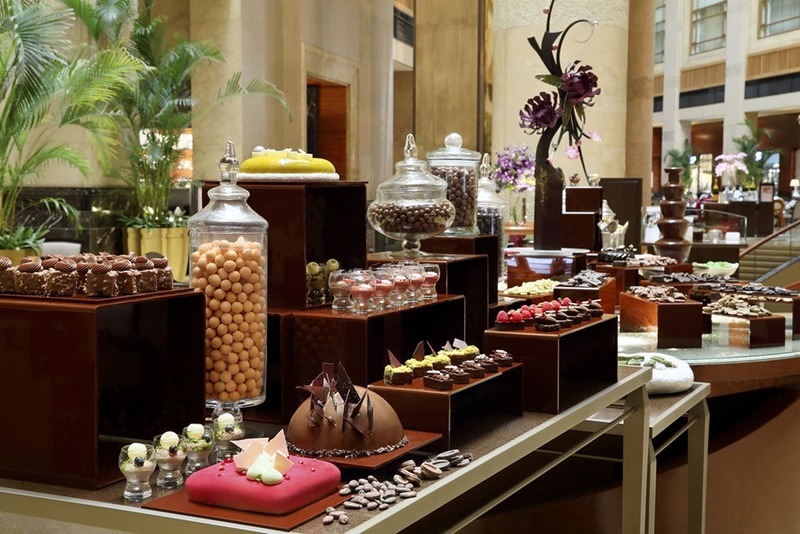 And of course, the actual Chocolate Buffet spread of various desserts using chocolate in one way or another. 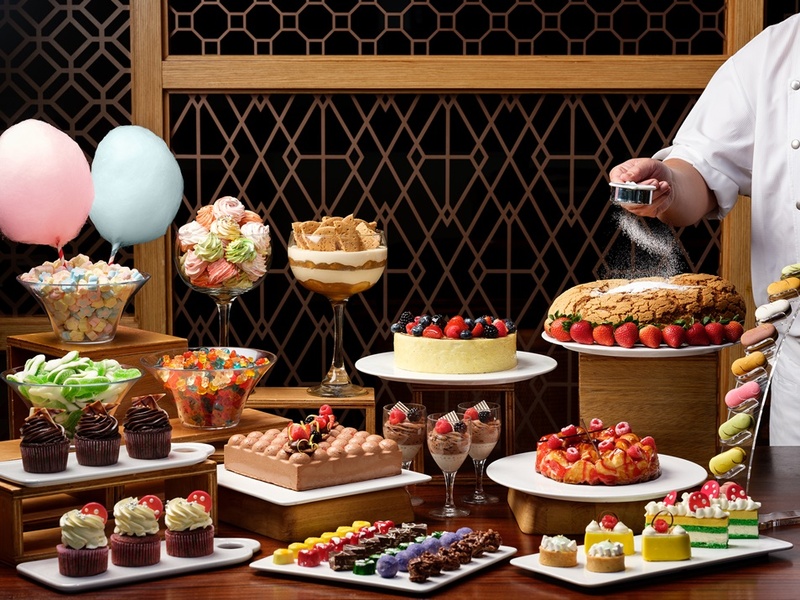 Think cakes, macarons, tarts, shooters and the chocolate fountain. Scroll down to see more pictures of the spread and cute photos of the toddler stuffing his face with chocolate éclair. The Fullerton Hotel’s Town Restaurant, together with Taj Cape Town and South African Airways, will be presenting the fascinating South African cuisine from 21 to 27 April in a special dinner buffet. Traversing the globe to present the best from their country in Singapore, in conjunction with South Africa’s Freedom Day on 27 April, are Guest Chefs Vivian Gary Solomon and Lloyd Mark De Stadler. Savour the unique bounty of flavours from the culturally diverse "rainbow nation" in classic dishes like Bobotie, Seafood Potjie, Venison Fillet in Sour Cream Marinade, Braised beef with Port Sauce and Chicken, Bacon & Banana Kebabs with Spicy Marinade. Many of the ingredients not available in Singapore were specially flown in from South Africa to replicate as unique a taste as possible.